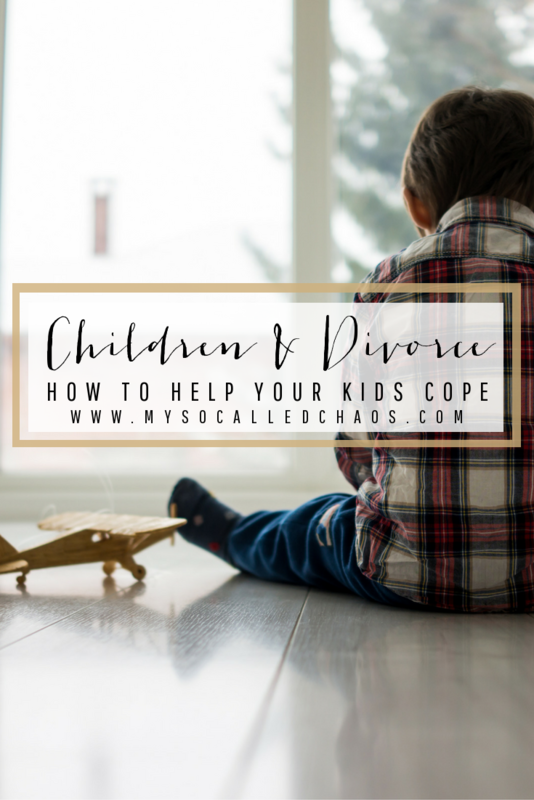 A while back, I wrote a post about trying to handle a divorce in the best possible way-and in it, I mentioned how it was so important to ensure that any children from the relationship remained unscathed. I thought it was worth looking into that a little further today. Children can find their parent’s separation incredibly hard. The two people they have known all their life are going their separate ways and things will never be the same again. It’s no surprise that many kids who have seen their folks split up go onto have problems develop further on down the line – sometimes much later on in life. But there are some ways of making the transition much easier on them – and I’m going to take a look at them with you today. You may not think I’m entirely qualified to write about this, since I’m neither a mother or a divorcee, but I have actually been through a couple of divorces. No, not my own or even my parents (32 years next month, way to go mom and dad! ), but I have dated men who were going through divorces and who were also dads. Not only have I dated these men, but I have actually acted as a step-parent to children, and co-parented with both my partner at the time, and his ex. Unless you are very lucky, your divorce will be an incredibly messy business. There will be acrimony, accusation, and negotiation – all of which can take its toll. To clarify things and make it simpler for everyone – including your kids – you have to hire a divorce attorney. Even if your relationship with your ex is an OK place (or at least appears to be) it’s always best to draw a legal line in the sand. Divorce lawyers have been well-trained on everything that needs to happen, so everyone will know what is expected from whom, what steps to take and how to take them, and what to be prepared for. This will help ensure your kids can start getting used to their new life as soon as possible. Even if things seem friendly with your ex, everyone is human and emotions can change quickly, so you both need to be prepared and protected in case things turn south all of a sudden. A divorce is the death of a relationship, and we tend to go through the stages of grief even as we grieve something we know had to happen. This means, as a person works their way through the stages, their anger may be delayed-and when it comes about the result may not be pretty. People don’t think straight when their angry, and when people are hurt they tend to lash out and hurt others. If you’re the source of that hurt, they may lash out at you, and some of the ways they try to hurt you will be through legal channels. It’s best to have a lawyer on your side in case this happens-hope for the best, but plan for the worst. Divorce is difficult enough already, as you split up assets and deal with hurt and resentment, but when you add children to the mix, it can be even more difficult. You not only have to figure out custody (or maybe even fight for it), but you have to actively think about how it’s all effecting them. It can be tough for parents to focus on anything other than the divorce. But it is critical that your children are firmly in your thoughts, because they will need you more than ever right now-and for several different reasons. It is so important not to shut your children out of the picture-even if you think they are too young to understand. Make a plan with your ex-partner to work together on open communication, not only with yourself, but with the kids as well. Never be dishonest, tell them you love them often and don’t hide from the fact that their future will be different. Beating around the bush too much will lead to confusion, anger, and hope where there is none. It’s not fair, so be truthful and keep your communication going through the process. In most cases, they’ve seen the fighting or arguing, and they also want it to stop-they need to know what the end goal is, and why this is the best for everyone involved. First of all, they need to know that both of you are going to stay in their life. For any child going through a divorce, they’ve grown up with both parents home and now they have to adjust to an entirely different way of life. Change is hard for anyone, but someone who is young and has not yet experienced a whole lot of change is going to have a much harder time with it. Don’t forget that communication is a two-way street. Your kids will want to talk to you about how they are feeling, and it is critical that you both listen. Let them express their feelings, and help them find the words if they don’t know what they are experiencing. Make sure you clear up any of their misunderstandings – perhaps your child feels like they are responsible in some way. Be patient, let them talk, and never leave them feeling like you haven’t listened. In the long-term, these simple acts would help your child deal with your divorce in a much more stable way. It is important to remember that you are your children’s emotional support, not the other way around. Don’t use your children as your emotional support, mini therapists, or think of them as a friend you can vent to about all of everything that is happening. Yes, it’s important that they know how you’re feeling and see you experience and handle emotion so they can learn how to do so themselves, but you should not put the weight or responsibilities of it all on your children. They don’t need to know if you’re jealous when they spend time with your ex-partner either-it’ll only put guilt on them that they don’t deserve, for something that’s important to them. When you decided to have children with this other person, you made a commitment to have that person in your life and to raise those children together no matter what happens. If your romantic relationship with this other person ends, you’ll still have these little people tying you together for the rest of your lives, so this person will always be someone that you have to have some sort of “relationship” with. Just because your relationship with that person changes, it does not mean that their relationship with the children does. As long as there has been no abuse or mistreatment of the kids from either parent, it is important to remember that essential for kids to maintain healthy relationships with both of their parents, no matter how hurt or angry you may be. Not only do you have to be open and communicative with everyone involved, but you have to be very careful with what you say-not only when talking to them, but when they’re around. Children are impressionable, and words can hurt; children don’t need to overhear you telling someone else negative things about their beloved parent-someone they look up to and trust. Never bad-mouth the other parent to or around your children, no matter how angry you are or how much you may actually blame them-even if they do deserve blame for any actions they may have taken. Not only do you need to watch that you don’t put a negative impression on your children regarding the other parent, you should also be trying your best to leave a positive one. Encourage your children to have a healthy relationship with both of you by actively reminding them how loved they are by both of their parents, and by making sure they get quality time with each. You don’t need to be friends with your ex-spouse, but you do need to be polite and set a good example for the little ones who are watching you. Even if you’re only speaking to arrange things regarding your offspring, or only seeing each other at pick ups/drop offs, you can set a good example by being polite and mature. Don’t fight in front of them, don’t make little digs or insult them, just be calm and collected and handle it like an adult. In addition, don’t use your child as a messenger or a pawn against your ex. They don’t need to pass messages that you can relay in an email/text, and they don’t need to feel like they’re hurting either of you by doing what they’re asked. I saw first-hand how their actions affected the children, and the results that inevitably came about in the lives of all of those involved. I’ve seen wonderful and well-behaved children revert back in their development, become increasingly emotional/clingy, act out in big and small ways, fall behind in school, and become isolated from their friends and family. It can be emotionally and psychologically devastating on children to handle a divorce situation if it is handled badly. On the other hand, if this situation is handled with respect and dignity, it can teach children so much and prepare them for the world outside and their own inevitable relationship ups and downs. Remember, these are little human beings that you are responsible for raising, teaching, and turning out into the world as productive members of society. Children learn of who they are from watching your actions, so let your actions speak. The way you handle the divorce and co-parenting with your ex can shape the way they interact with people and how they go forward in the world. It’s a heavy burden, parenting, but it’s one that is also rewarding. It’ll be hard, but you can do it. Have you dealt with divorce and children? Share your experiences in the comments so other parents can learn!